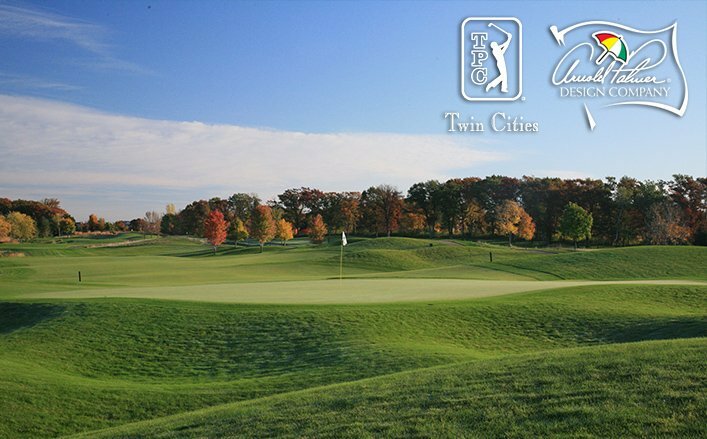 The Tournament Players Club of the Twin Cities is a 7,140 yard, par 72 championship course built on the flat ground of a former sod farm. Ponds and lakes were excavated to obtain select soils for use in course construction. TPC of the Twin Cities was nominated for “Best Land Transaction” at the 1998 City Business Best in Real Estate Awards. Construction began in March 1998 and was completed in July 1999.